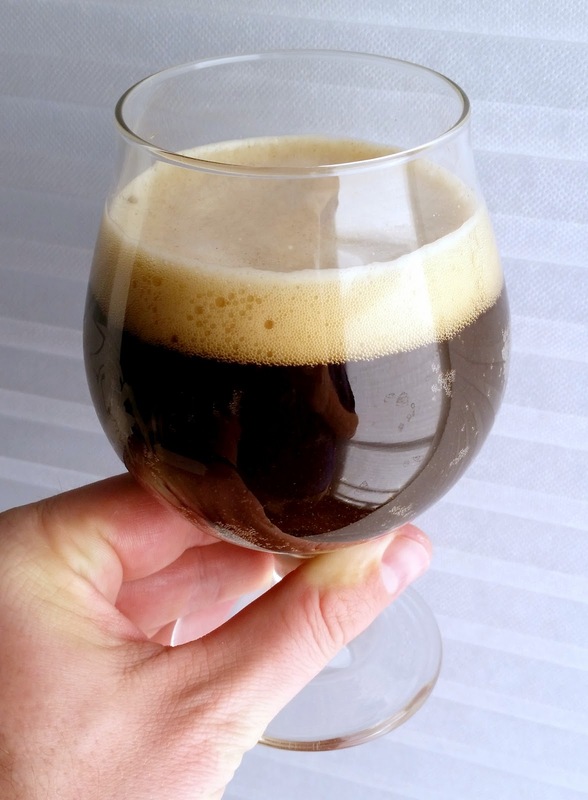 In mid-April, roughly two months after brewing, I did a formal tasting of Live Long & Porter. Coffee and a hint of chocolate. Nice. Creamy, tan-colored head, very persistent. Dark brown beer with good clarity. Chocolate, coffee; some maltiness behind it. Finish a little more bitter than perhaps I like. Carbonation is good, but body is pretty weak. Probably not in this form; it’s a good enough beer (and the aroma absolutely nails what I love in a porter), but the body is too thin, which really detracts from the overall beer. For the next iteration, I would probably add a bit more carapils and crystal malt, as well as perhaps some flaked oats. This entry was posted in porter and tagged Live Long And Porter, LLAP. Bookmark the permalink.